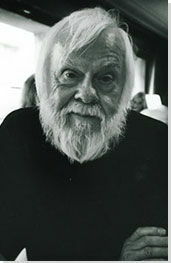 While teaching at a night school in the University of California, Baldessari came upon a sheet left in a classroom that dispensed advice to artists. It led to a number of works, of which Tips For Artists Who Want To Sell is an important example. Tips is one of his breakthrough works: it abandons familiar imagery, adopts language as its vehicle, and slyly suggests that behind some supposedly great art may be merely a series of cynical ploys. In 1970, Baldessari burned many of his early paintings as part of a work titled Cremation Project, but he saved works such as these, done after 1966, in which he offered satirical checklists of what to include in a painting if it is to sell. A clear stab at the art market, he uses humor to poke fun at the absurdity of traditional art and "how-to" art instruction manuals. Its comedy also derives from the contrast of his simple advice with the grandeur of the Abstract Expressionist painting that had recently dominated the American art market. The hard-edge painter Al Held is reported to have said that "Conceptual art is just pointing at things." Taking this accusation literally, Baldessari decided to create a series of Commissioned Painting, hiring sign painters to paint photorealistic images of a hand pointing to an object. The act of pointing demands the viewer's attention to be directed to a specific area, but the genius of the piece lies in the questions it leaves us with: why should we look here, and not elsewhere? Do images always direct us to one, and only one message? Although this painting includes the caption "A Painting By George Walker," we also understand that the idea was Baldessari's, hence we are led to questioning the nature of artistic authorship. He has said of this series, "The point was to organize these [sign painters] in a different context and provide them with an unhackneyed subject that would attract the attention of a viewer interested in modern art." He has said that working on the project felt like being a choreographer. 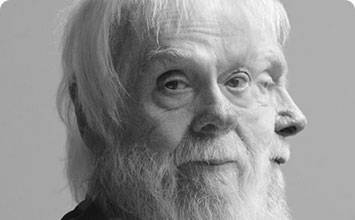 In this video piece, Baldessari makes several arm movements, reciting the phrase, "I am making art," after each gesture. Baldessari has always been conscious of the power of choice in artistic practice - like choosing to paint something red rather than blue, for example. Here, he carefully associates the choice of arm movements with the artistic choices that a painter or sculptor may make, concluding that choice is a form of art in itself. But he also confronts one of the fascinating problems that unpinned the work of many early Conceptual artists: how much can art be reduced and simplified before it stops being art at all? Baldessari offers no definitive answer, but he suggests that the gap between art and the ordinary, between art and life, may be imperceptible. In the piece Frames and Ribbons, Baldessari incorporates flat, geometric shapes of color to change the meaning of appropriated images. The imagery focuses on a work place achievement, such as an opening ceremony or the successful completion of a project. Baldessari believed that such celebrations were arbitrary, so he blocked out the facial expressions of the figures, as well as much of the other detail that would particularize the events, and mocked its absurdity, its character as banal ritual. The circles over the characters faces may throw our attention on to the event, but what we come to realize as a result is that this event is like so many others. The photograph that commemorates the event is also a social ritual, and a ritual that is designed to deliver up only certain sorts of messages. Although the picture has these insights at its heart, it also has a strange, sad absurdity that is reminiscent of René Magritte's pictures of faceless, bowler-hatted figures. Ultimately, both artist's pictures emerge from reflections on public interaction in the modern world, a world in which individuality is submerged in the interests of the group. The series Prima Facie, from the Latin 'at first sight', places a photographic portrait alongside a phrase. At first glance, the phrase appears to explain the emotional content of the image, but the appearance of emotion may conflict with reality. While the photograph may suggest several different emotions, the association of 'EXHILARATED' changes the way the viewer perceives the image. The relationship between image and language examines the complexities between the two forms of expression. In this piece Baldessari exposes an isolated nose and ear on a facial profile in silhouette. He views anatomical elements as singular organs, rather than organs that relate to the whole of a face or body. Context has been omitted, leaving only two sensory organs in black and blue space, and leaving the viewer to invent their own narrative to explain them. Perhaps we are prompted to associate an emotion with a color, or to think that the organs suggest facets of the figure's character. Either way, we are led to realize how many of our own assumptions we bring to the reading of images. It is an important insight that has implications for the way we look at all kinds of images. It reminds us of how we respond to cues in advertising, and of how all manner of connotations hover uncertainly around certain motifs. It also leads us to ask what great art consists of: is it a matter of vision and inspiration, or simply the skillful manipulation of codes.